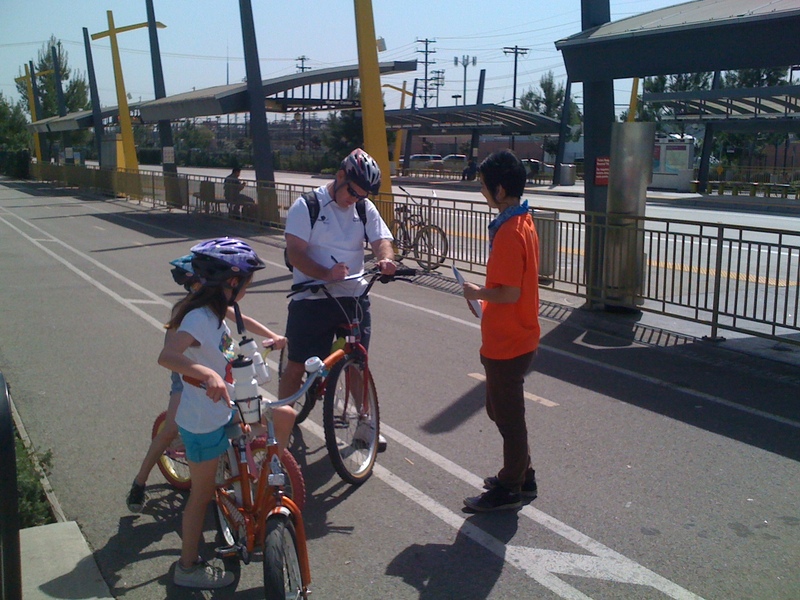 Bicycle surveys and counts were recently conducted on the Metro Orange Line. Starting today, May 11, Metro consultants are planning to converge on 20 Metro Rail stations throughout L.A. County to conduct bike surveys and counts. They will be out there for three weeks, so if you’re a bicyclist who rides Metro, help them out and fill out a survey. Metro’s trying to quantify greenhouse gas emissions and Vehicle Miles Traveled (VMT) reductions from bicyclists who utilize Metro Rail stations. A similar survey and counting effort was conducted on the Metro Orange Line last March. The results of that effort will be released soon. The agency is not disclosing the locations of the surveys or counts in advance “in order to preserve survey integrity,” but the goal is to better measure the environmental benefits that result from bicycling to and from Metro Rail stations to aid the agency’s Sustainability and Planning departments. View full details in the News release.